As you leave the ferry, turn left and follow the road past Martyrs Bay and Traigh Mor. Walk up the hill for ¾ of a mile until a gate is reached. Go through the gate and in front is a magnificent stretch of machair which doubles as Iona Golf Course. 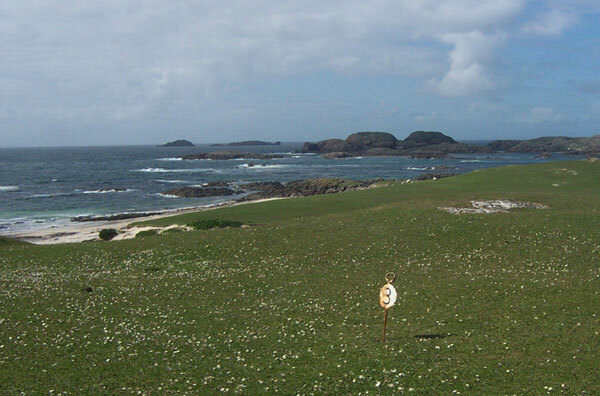 The grass is kept clipped by the cattle and sheep that graze on the machair and the golf course is free of charge.